Asking Alexandria’s fourth studio album, “The Black” released last week. Fans will notice different vocals since previous lead vocalist, Danny Worsnop, left the band back in January 2015 to work on his new band, We Are Harlot. Denis Stoff, replaced Worsnop as the new lead vocalist on May 26th of last year. Fans should be able to easily notice their hard work and experimentation they put into this album. One of the twelve-tracks on the album include Stoff’s first single with the band, “I Won’t Give In,” that was released back on May 27th. Changing band members, especially a lead singer, can be rough on bands, but not on Asking Alexandria. Stoff, delivers an excellent range of vocals that will keep this metalcore band living. The first song on the album, “Let It Sleep,” is a testament to this, delivering the new power of the band’s commitment and talent, resonating throughout the rest of the album. If you are looking for a good song to headbang to, “The Black,” is an excellent go to song. Stoff, delivers amazing flow between his growls and singing while founding member, Ben Bruce, and other members, James Cassells, Cameron Liddell, and Sam Bettley, share their skills in delivering a song that is impossible not to hangbang to before slowly ending off in a beautiful piano finish. The song, “Sometimes It Ends,” begins with a statement by Ben Bruce venting his frustrating on Worsnop’s departure. “I’m (f-bomb) pissed off. The guy’s my best friend and he’s kinda turned his back on me and (f-bomb) bailed.” Bruce continues, explaining that Stoff got him to see that Worsnop is in the past, where he then, “rewrote most of the record, lyrically, with Denis.” The song then immediately begins with screaming and intense drumming synced in rhythm, revealing the anger and hatred contained within the members that they vent through the track. The song ends with more dialogue from a newly-inspired Bruce. Any person that is familiar with band Avenged Sevenfold can hear a striking familiarity with one of my personal favorites from the album, titled, “The Lost Souls.” This song is what further proves their talent. It begins with piano and static and a girl singing, “la-la-la (who I picture as the girl with the skull mask on the album cover), switching off to Stoff where he demonstrates his wide-range of vocals and singing an absolutely catchy chorus. The final song worth mentioning is, “Gone,” which is the one slow song on the album starting with strings and then picking up with Bruce’s piano ballad. The rest of the album continues to be powerful and engaging, showing the bands maturity since they first began in 2008. 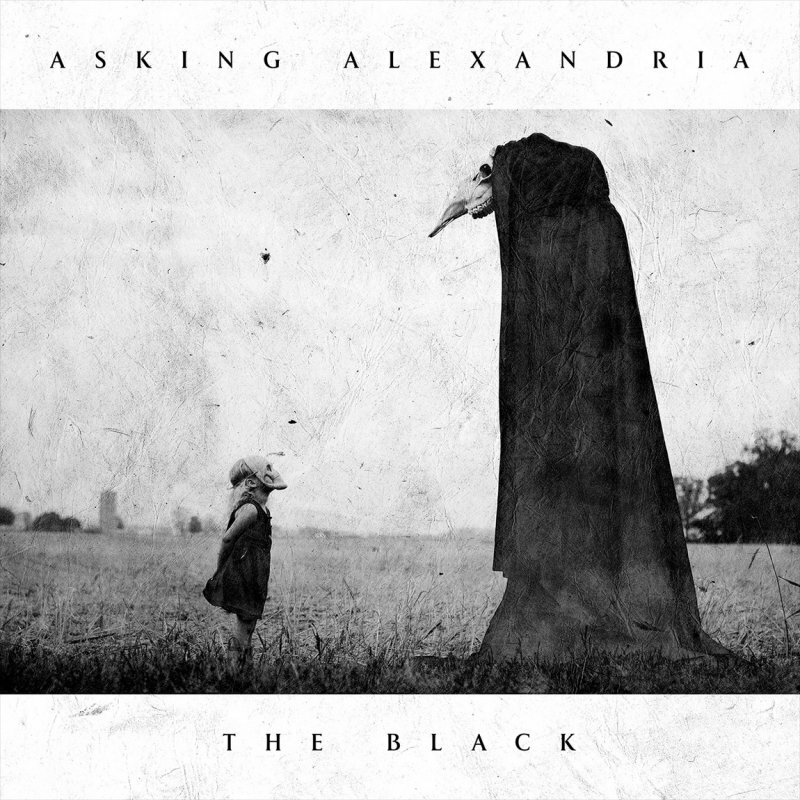 Asking Alexandria, “The Black,” is a record where every track is worth listening to. I have been listening to it nonstop for the past few days and never had the urge to skip past a song. If you need something to rock out to, then check out, “The Black” and see what the new-and-improved band has to offer.